Established in January of 2016, Portsmouth Therapy Partnership is the creation of Co-Founders and Business Partners Karin Davidson and Shirley Baxter. Following the closure of a local practice they both worked in, Karin and Shirley realised there was an opportunity to open their own therapy practice . Karin and Shirley have known each other for over 14 years and initially trained together at the University of Chichester attaining a BA (Hons) Degree in Humanistic Counselling. Their mutual passion for continued learning has seen them undertake a variety of Continued Professional Development training courses (CPD) which has taken them in the same direction. From this passion for learning and self-awareness has come a vision of bringing a quality counselling service to Portsmouth. Portsmouth Therapy Partnership is the realisation of this vision. In the past they have collaborated on developing and delivering a number of training courses for Carers and Counsellors and Healthcare practitioners working with Carers. Prior to setting up her own Private Practice she worked as a Counsellor in General Practice, in Secondary Education, the Field of Addictions, with Carers and also as a Helpline Counsellor for a major Employee Assistance Programme (EAP) provider. Alongside her Private Practice, Karin works for a Carers Support Service, where she set up and ran an Emotional Support Line. 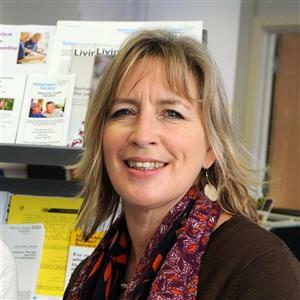 She works for the same organisation supporting family members looking after a relative or friend living with Dementia, offering both practical and Emotional Support, facilitating Groups and producing and delivering Workshops. 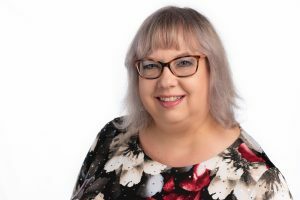 Shirley has been working as a Counsellor and seeing clients since 2005 (over 13 years) and since 2009 has been in Private Practice (for 10 years). During her counselling training Shirley worked for a University Counselling Service, a Carers Support Service and a Drug and Alcohol Counselling Service. Following that she spent over 7 years working as a Telephone Helpline Counsellor for a Major Employee Assistance Programme Provider (EAP). Prior to becoming a counsellor Shirley spent 18 years in industry as a Project Manager and this has enabled her to bring to her practice a wealth of experience which she gained from working within a large multinational organisation with multi-disciplined teams. Shirley is Anglo-Italian and is a fluent speaker of the Italian language. We believe it is important to build a close team at Portsmouth Therapy Partnership, this is why our Associate Counsellors share our ethos and values and believe passionately in the importance of being able offer a professional, quality service to all our clients. We are fully insured and are Registered Members of the BACP (British Association for Counselling & Psychotherapy) and abide by their Code of Ethics. Please visit the BACP Register if you wish to view the Registrations details of our Counsellors. For further details on our Counsellors please visit the Our Therapists page of our website. All of our Therapists are in regular Supervision in accordance with the BACP requirements as well as being committed to undertaking regular Continued Professional Development (CPD) to enhance and grow their self-awareness and learning.